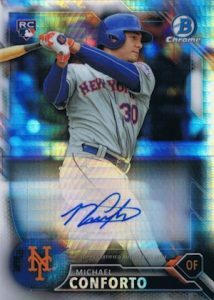 Similar to other big hobby events, Topps provides collectors with several incentives for 2016 NSCC attendance. Topps' National Sports Collectors Convention wrapper redemption continues that option with a variety of special cards only issued at the 2016 National in Atlantic City. Headlining the choices, the 2016 Bowman National Refractors Baseball cards can be obtained by opening select packs at the Topps booth. 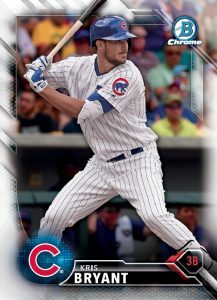 The main 2016 Topps National Sports Collectors Convention wrapper redemption centers around 2016 Bowman with special 2016 Bowman National Refractor Baseball cards that feature an exclusive prism foil pattern on Chrome stock. Only issued at the 2016 NSCC, the 50-card set includes former greats and current stars as well as notable rookies and prospects. There are also limited Refractor parallels and signed versions for around half of the base checklist randomly found in the four-card packs. Any ten (10) hobby packs of 2016 Topps products (Opening Day and Sticker Collection are not included). Any five (5) hobby packs of 2016 Bowman products. 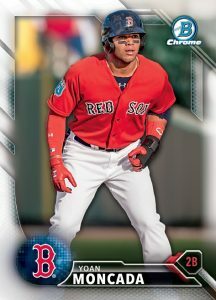 Any five (5) hobby packs of 205 Bowman's Best Baseball. 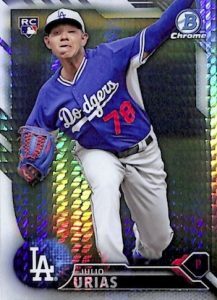 Every qualifying pack opening noted above yields one 2016 Bowman National Refractors Baseball pack. Collectors can also find more Topps cards with a special set exclusive to VIP ticket holders. These retro-themed cards celebrate the 1951 Topps Red/Blue Back design with 65th Anniversary packs that each include four cards. In addition, Topps will be selling a ten-card Rocky set that is exclusive to the National and showcases the 1976 sports design. 2016 Bowman Chrome National Convention Lot. Arrieta, Mateo, Newcomb, A-Rod! 2016 Bowman Chrome National Convention Lot of 4. Maddux, Mays, Meadows, Berrios!